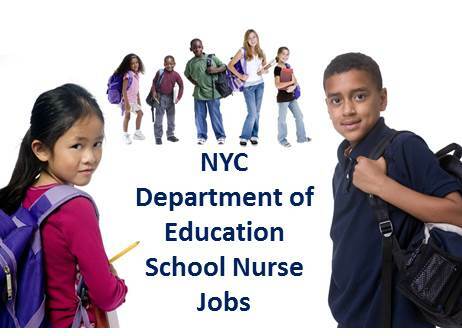 Are you looking for a Registered Nurse job within the NYC Department of Education? Our company has many contracts with the DOE that would allow Registered Nurses with at least 2 years experience and a NYS license to work in a school district within the five boroughs of New York. The 5 boroughs include Bronx, Brooklyn, Queens, Staten Island, and Manhattan. If you’d like to work in one of the 5 boroughs, please submit your resume. One of our recruiters will contact you and place you in a school district that best fits your skill sets and location. School nurses provide health services for students and staff and act as advocates, liaisons, and consultants on health related issues for students, families and school personnel. They are an integral part of the school program in supporting an optimum physical, mental, emotional and social climate for all students and staff. The services provided by the School Nurse include: health care delivery, health counseling, and health program and policy development. Does your school district need a Nurse? We can help!! Protecting and maintain student’s health by providing professional nursing services in accordance with Nursing Standards and NYS Licensing. Providing NY State-mandated and annual screening programs including vision, hearing, height, weight and scoliosis. Facilitating NY State-mandated immunization and communicable disease control requirements. Identifying and assessing students’ health needs, implementing services, and evaluating plans of care which impact student learning and achievement or safety. Participating as members of the school’s multi-disciplinary team, interpreting medical data and writing objectives for the health component of the IEP and/or 504 plan. Acting as liaison between home and school, and community providers for medical issues, including visiting students at home. Identifying and reporting school building safety or environmental issues which impact student or staff health to the building administrator. Documenting health services provided in accordance with the NYS Nurse Practice Act. Maintaining current pertinent health data for each student by periodic review and documentation on the individual student electronic and paper health records. Completing student and staff insurance/accident reports. Initiating and documenting health surveillance programs as needed and recording, compiling and reporting aggregate student health information as required by NYS Department of Health.